Read more to find out why kickboxing is the martial arts choice of the future! 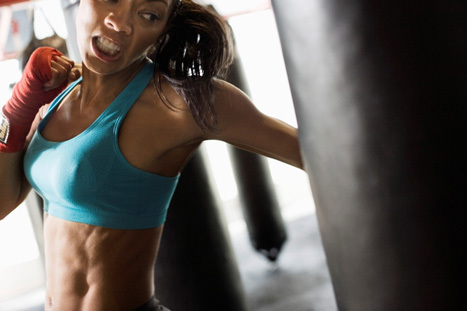 Fitness Magazines rate kickboxing as the number one fat burner, with up to 800 calories burned during a one hour class! With Kickboxing at Creative Fighters Guild you will be burning fat and toning up by punching and kicking real heavy bags. Classes are great for both females and males that have the goal for a healthy fit lifestyle, and they we have a blast training together in this fun high energy class. FILL OUT THE FORM TO GET YOUR ONLINE SPECIAL OFFER AND CLASS SCHEDULE!